Every home or business property needs reliable, effective and, above all, safe electrical currents, appliances and equipment. At Q-Tec, we are renowned for providing exactly that. With specialist electrical installation and testing services; we cover everything that you will need when having a complete new system installed or when testing an old one. Electrical testing will make sure that you system is providing the most efficient output and if not, what can be done to help. Working for domestic and commercial clients throughout London, Kent and the Home Counties, we provide the complete electrical service; from the installation of one electrical socket and regular inspections and testing, to a major electrical re-fit, we utilise decades of industry experience to ensure safe and reliable electrics in every home or business property we work in. Need a complete new system? We provide a professional electrical installation service that create an efficient system around your property. Our specialist team have worked in the electrical industry for many years and utilise this experience to provide the professional electrical installation, testing and maintenance services you require. No matter how complex or big the job is, our team can fit a whole new system or go through electrical testing to ensure you are receiving the best out of your electricity without the worry of faults. For all of your electrical installation requirements, call the specialists here at Q-Tec as they will be on hand to provide you with the information you need and arrange a free survey and no obligation quotation. Call us now and receive the best in electrical testing, installation and maintenance services. Our specialist team have provided home owners and commercial properties with the very best in electrical installation, testing and maintenance services for many years. With over twenty years’ experience in electrical design and installation, you are guaranteed that during the entire process, from system design through to installation, you will receive nothing but the best advice and the finest electrical installation. We even provide our customers with the best in electrical maintenance or testing services so you know that your systems are working to the best possible standard. You will be assured of the highest quality services which will make sure your systems are working to the best possible standard. We don't stop until you receive nothing but the best in electrical installation, testing and maintenance services. 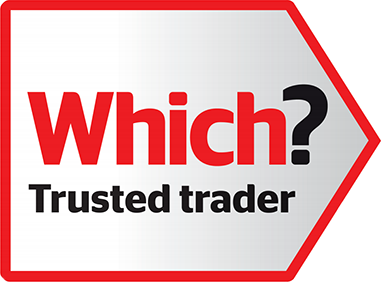 We are an NICEIC approved contractor, guaranteeing you the most exceptional quality of service and electrical installation and a customer focused approach that gets results. Your electrical systems will need to go through maintenance and testing to ensure that it is running efficiently and our specialists are trained to provide just that; a professional electrical installation, maintenance and testing service. After our electrical installation service is completed, our call-out and maintenance team continue to ensure that all systems are kept to their optimum performance. Providing the back up and support you require twenty four hours a day seven days a week. Based in Maidstone, we provide domestic and commercial clients from across Kent, London and the Home Counties with the very best electrical installations, PAT testing and maintenance options. Many of our recent projects have been for clients in Islington, Tonbridge, Sevenoaks, Stevenage, Portsmouth, Ashford, Reigate, Canterbury, Lewisham, Maidstone, St Albans, Dartford, Orpington, Bromley, Tunbridge Wells, Hastings, Medway, Fulham, Chelmsford, Barnet, Colchester, Milton Keynes, Brighton, Westminster, Croydon and London. Need more information? No problem. Contact one of our helpful and friendly team to discuss your electrical requirements and arrange your free survey and no obligation quotation.